The drinking water kit produces a supply of cleaner and fresher water. Utilising KDF media it removes bacteria and microbes from your water, this in conjunction with activated carbon and a polypropylene sediment filtering layer this setup is ideal if it is only drinking water that you’re after. The sediment layer removes particulates down to 5 microns and the activated carbon is efficient in removing the vast percentage of organics from the water. 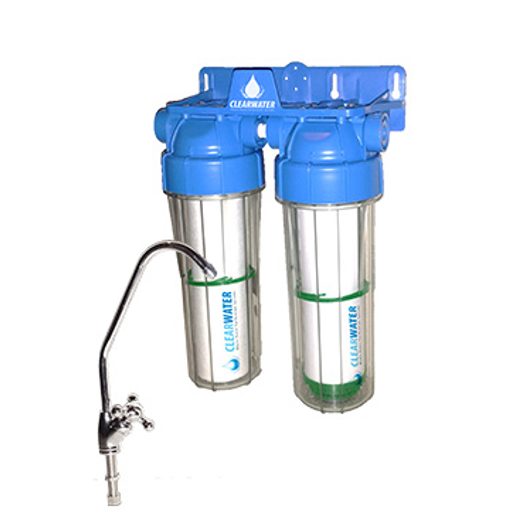 This filter kit provides great value for money and is essential for those that wish to save money on bottled water.